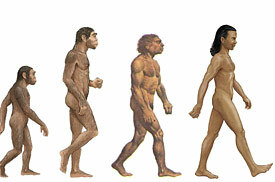 Darwin’s theory of evolution has been an accepted theory for years in scientific circles and with laypersons alike. Though recently, the theory of creationism has been kicking on its heels, softening lawmakers, that perhaps, there is another explanation for man’s existence. Accordingly, in a landmark act, Louisiana state senators passed an academic freedom bill protecting teachers who encourage critical thinking and objective discussion about evolution and other scientific inquiries. Charles Darwin published On the Origin of Species in 1859, which was later titled, The Origin of Species, by 1872. The nuts-and-bolts of Darwin’s theory states that humans evolve over time through a process of natural selection: “survival of the fittest.” Those who are the “fittest” for their environment are more likely to survive and reproduce and vice-versa for the “un-fittest.” The result, over time and adaptation to environments, a new species form, like from apes to human.